Someone recently asked for a step-by step of a repair so I’ll try to remember to point my trusty Pentax at things as I work on this Wyvern 60C. It might not be the best example for a before-and-after because it looks pretty good for a start but we’ll see how we go. A little bit of heat to the barrel to free things up and it comes apart very easily. That’s a thick old sac; it’s almost certainly older than I am. 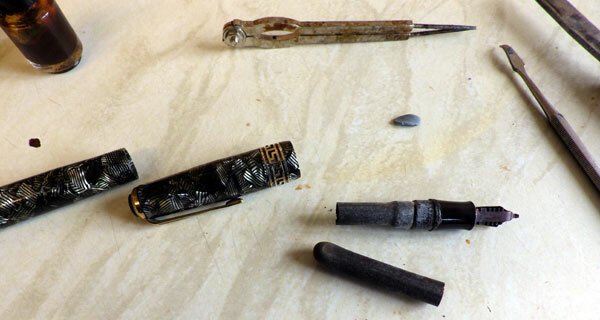 Next job is to remove the remains of the old sac from the peg. 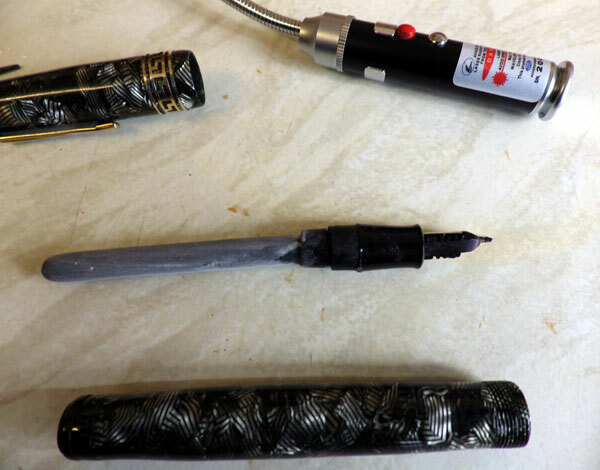 The nib needs a little straightening so it will have to come out. 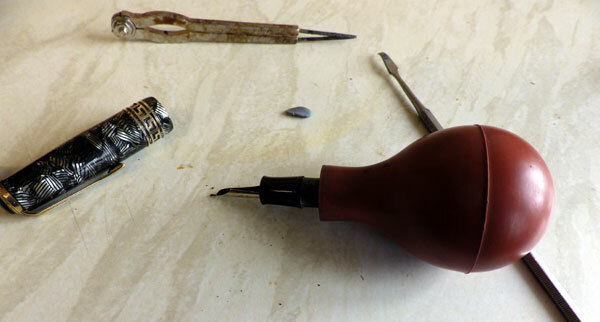 I use this bulb to get some water through the feed to make the nib/feed removal easier. 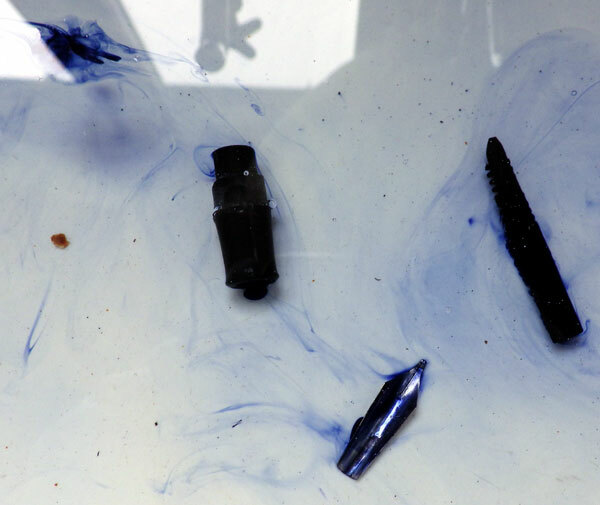 I’ll use my little scrubbing brush to clean the feed and some cotton buds will get the old ink out of the section. 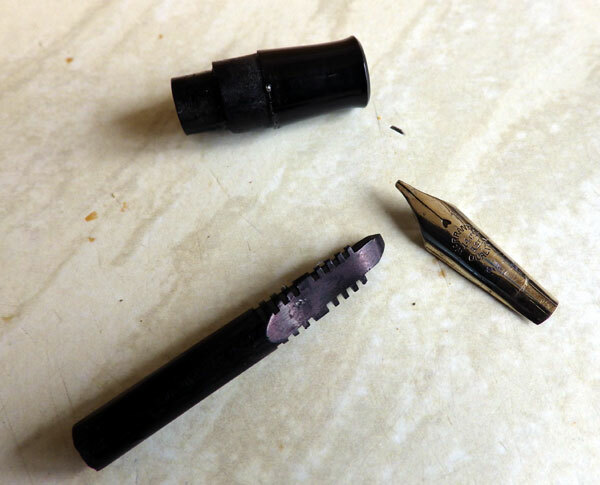 The nib has been straightened and the pen’s ready to be re-sacced and reassembled. And that’s it! All done except for a little work with the polishes and cloths. A very nice Wyvern. That little doodad at the top is a bendy laser-light to help with peering into barrels.